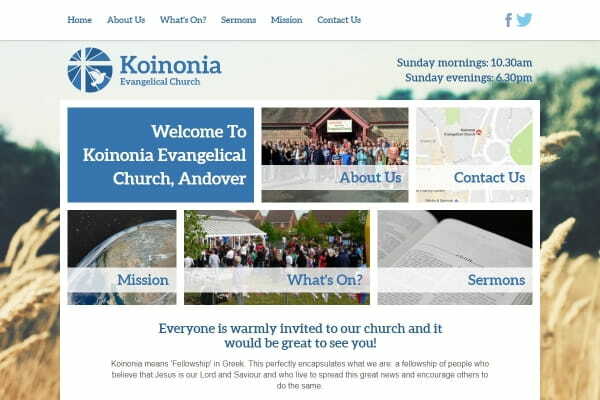 This week I launched a new website for Koinonia Evangelical Church located in Andover UK. The bespoke design was developed through a two way process getting feedback from them at every step. Working with them I also produced a new logo for them. 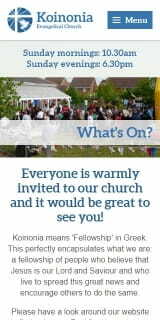 Read more about Koinonia's new website. Posted in Portfolio on the 20th October 2016 at 11:50am.